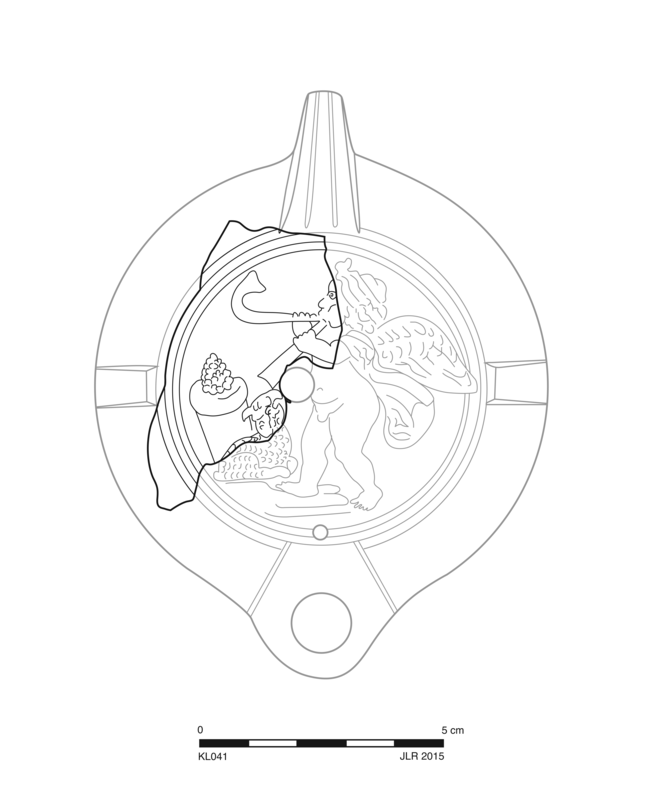 Circular, concave discus has central filling hole, figural relief, and narrow, rounded framing ring, Relief depicts Eros playing diaulos facing left before sitting ram and columnar altar or kioniskos with pinecone on it. Plain shoulder probably had panels. Details are somewhat blunt. 2.5YR 6/8, light red. Variable firing to slightly darker red. Middle Roman Athenian lamp fabric. Unglazed. 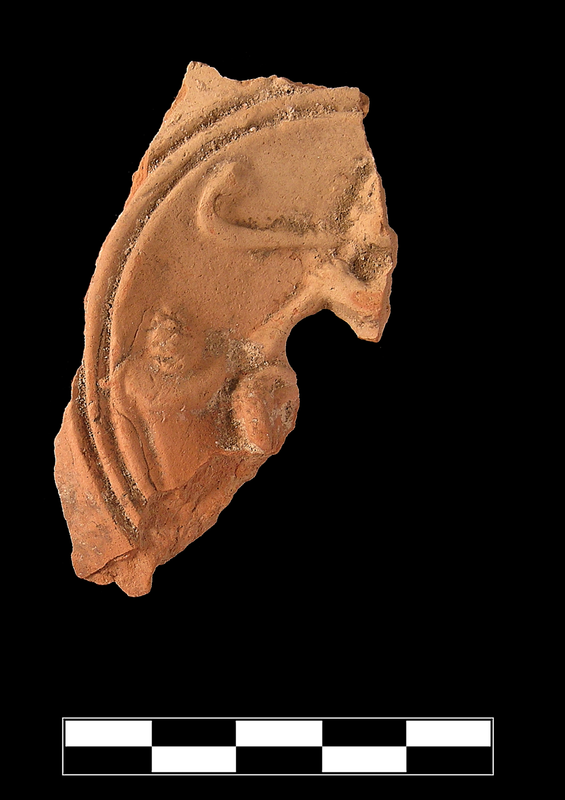 One large fragment preserves one third of discus and small part of left shoulder. Slight, very sparse abrasion, pitting, and chipping; slight, extensive encrustation in grooves and around relief.